6.5L Diesel Engine, Automatic Transmission w/Park & Overdrive, 4x4, 10,300 lbs. 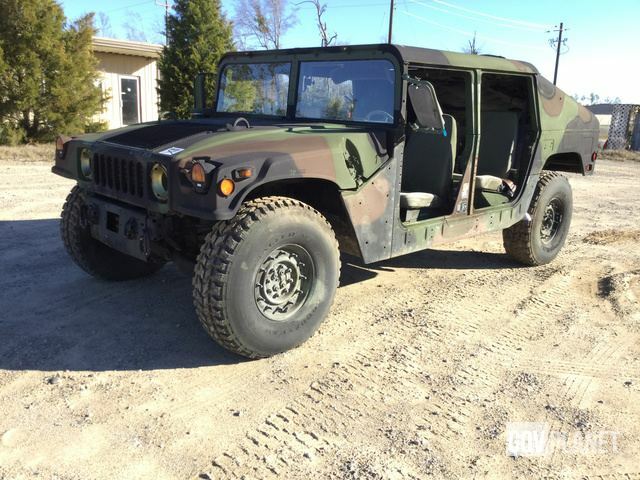 GVWR, 4 Door, Slant Back, Air Conditioner, Armament Carrier Body, 37x12.50R16.5 Tires. ***No further demilitarization is required. 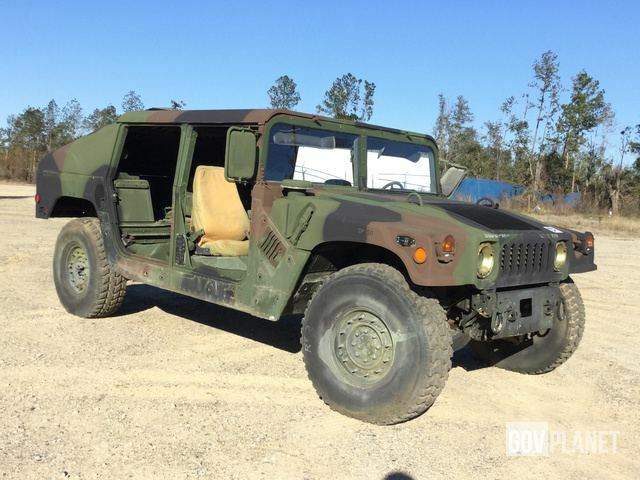 The HMMWV is available for pick up as shown. *** The Humvee sells with a clean SF97. Exterior Lights Operational. The headlights are missing. Click here to open photos and videos of this item. Seating The right rear seat is missing. Click here to open photos and videos of this item. Oil Pressure 55 PSI Click here to open photos and videos of this item. Odometer 1,092 Miles - IronPlanet makes no guarantees as to actual hours/miles; we can only report what can be visually observed. Click here to open photos and videos of this item. Limited Function Check The main components are in place and operational as noted. The dog house cover is missing. Click here to open photos and videos of this item. Machine Weight - DLA 7,090 lbs. Call Scott Swift (229-869-4114) 24 hours in advance.